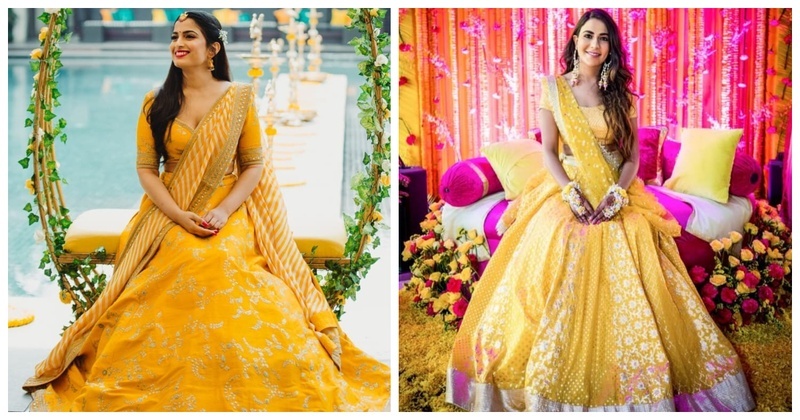 15 Brides who wore a Yellow Lehenga for their Wedding and rocked it! Yellow is one colour which looks good on all shades of the Indian skin tone - fair, wheatish, dusky. A major misconception is that you can only wear a yellow lehenga for your haldi function, well not really, you can wear to any function you like. You can wear it for your sangeet, mehendi, cocktail or your wedding itself! So, which yellow lehenga are you planning to wear at your wedding?